The relations between Finland and Russia are thriving. The amount of Suomi's investment in the Russian economy has totaled 8 billion euros, while the total trade between the countries has reached 17 billion euros. 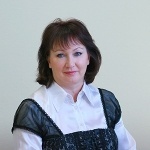 In her interview to RusBusinessNews, the director of the Ekaterinburg representative office of the Finnish and Russian Chamber of Commerce, Lyudmila Safina, said that the impending crisis can hardly put a spoke in the wheel of cooperation - the neighbors have prepared a reliable "safety net" from joint projects. So far companies from Finland in the Urals region act as vendors of their products rather than as investors. The situation is changing, however. 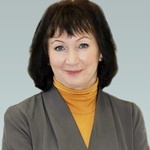 Lyudmila Safina, the Director of Ekaterinburg Representative Office of the Finnish-Russian Chamber of Commerce, informed RusBusinessNews in an interview that the Urals businessmen are willing to become dealers and partners of the Finns in joint projects. Holland aspire to involve the Ural region in their trades sphere. 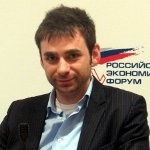 How told to "RusBusinessNews" Director of the Netherlands Business Support Office in Ekaterinburg Jan Van Laar, his country is interested mainly at unique components and semi-manufactured articles or finish goods which have high price, in the world markets. Minimalism is the distinguishing feature of the Danish companies’ products. The aspiration to simplicity, combined with the maximum number of functions, makes these goods and technologies irreplaceable in many spheres of economy. The interview given to RusBusinessNews by Peter Thomsen, the Head of the Trade Council of the Kingdom of Denmark in Ekaterinburg explains the details.